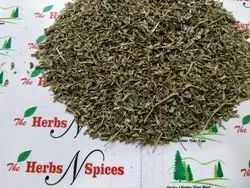 Today with the day by day increasing craving for Healthy & Refreshing Herbal Tea's, We took this initiative with a motive of serving the Herbal Tea Industry with various Herbs & Spices Cut & Seived precisely in various sizes ranging from 0.5mm-10mm as per the Client's Requirement. Stevia is a sweetener and sugar substitute extracted from the leaves of the plant species Stevia rebaudiana. The active compounds are steviol glycosides (mainly stevioside and rebaudioside), which have 30 to 150 times the sweetness of sugar,are heat-stable, pH-stable, and not fermentable. The body does not metabolize the glycosides in stevia and therefore it contains 0 calories like some artificial sweeteners. Stevia's taste has a slower onset and longer duration than that of sugar, and some of its extracts may have a bitter or licorice-like aftertaste at high concentrations. Looking for Herbal Tea Ingredients ?